Sagada, I gathered, after our year-end trip there, was one of those places brimming with spots where you can eat. (Well, I also learned that that really depends on the time you visit.) Last December, I was lucky to spend a few days there with a bunch of my friends to attend the annual Sagada Bonfire Fest. The trip was arduous, long and quite a challenge, so after we finally arrived there and checked-in in our assigned lodge (we booked a travel package through Travel Factor), all we could think about is fooooood. We stayed at George Guest House, which is a good 10 minutes away from the town proper, and since we were not yet in the mood to explore, we decided to dine at Ysagada Downtown Bistro which is directly in front of GGH. The place is small, perhaps, there's about 8 tables including those outside but very cozy. Of course, hugely predominant is the reggae theme, as you could see with the colors and the Bob Marley murals inside. Such a cool looking place to hangout at night to have drinks and conversations with friends, no? 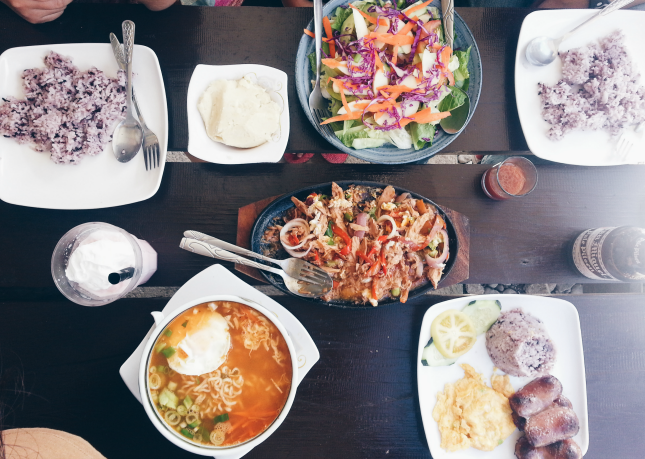 I could hear you thinking out loud why the heck we ordered food that we can easily have in Manila. It's that I can't really recall if Ysagada had any specialties or any dish that's unique to them. That, plus it's cold and I really missed Korean food. So I had the ramyun and a frappe to counter the spiciness. Hahaha. Dino had the longsilog and beer (LOL), Bell and Jeff had the tuna sisig and Denvie had the greens and mashed potato (try this one). The food's nothing too out of the box but nonetheless tasted good. It was hearty and filling. I must say that their servings were hefty. If you ran a search in Google about Ysagada Downtown Bistro, you'll probably only have one or two helpful links, and you'll probably think that this little resto is new. 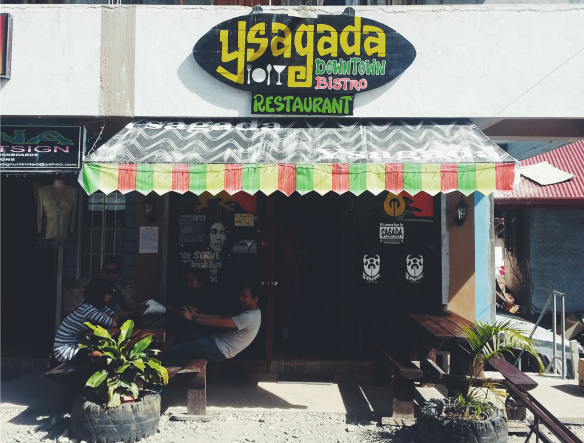 I learned that they were operating before as Kusina Ysagada and had a revamp around last year and incorporated a reggae-themed ambiance. Note: Prior to our trip, there were a lot of restaurants recommended to us by other friends who frequent Sagada (Yoghurt House and Lemon Pie House were at the top of the list), but maybe because of the event and the surge of people, whenever we attempt to visit Yoghurt House, Lemon Pie House, even Strawberry Cafe, Salt and Pepper, Pinikpikan Haus and Sagada Brew, there's always a long queue or some of the house specialties are not available.